The new Cascade Pannier Kit for your V-Strom 650 is designed as a great alternative to the Teton when you want more capacity without extra width. The 7.5" Cascade creates more volume (38.5L) with increased height, not width. By comparison, the Teton 7.5" gives you 33L, the Teton 9" gives you 38L. The DL650 V-Strom SU rack has our new Point1 pressed insert design. 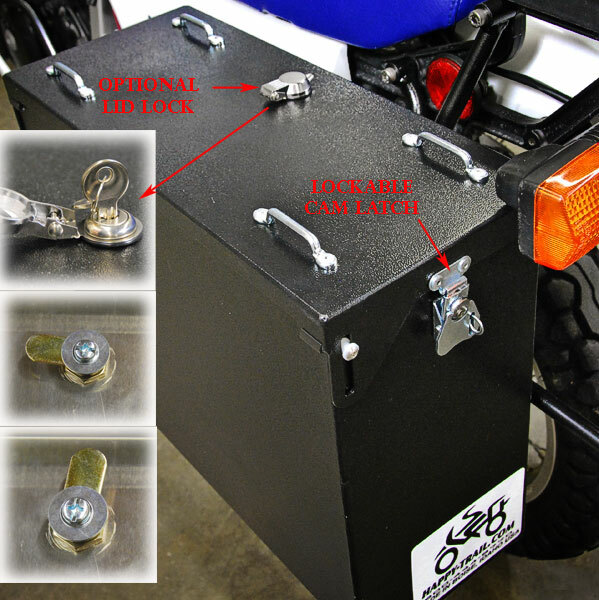 This adds to the ease and functionality you've come to expect from our pannier systems. Details HERE. Notes: Panniers do not include the red decals shown in the photos. The SU Rack system is compatible with the stock tail rack, and the Happy-Trail Tail Plate System. The Puck is what you need, order the 750 for our SU Racks. This is a new style that replaces the aluminum one.